Do you know how to grab your reader’s attention? Have you ever read writing so vivid that you felt as if you were actually experiencing the story first-hand? 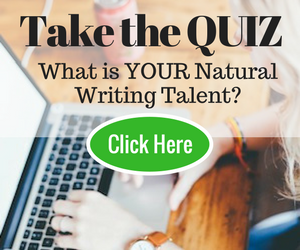 Would you like to make your own fiction writing that vivid? Here are some tips that will help. Let’s play a game. Imagine a room. Before you read on, take a moment to form a mental picture of this room. Okay, now what if I tell you that the room is a restaurant kitchen? Did your mental picture just change? What if I tell you that the restaurant’s closed for the night, and the kitchen is dark except for the streetlamp shining in the back window. Did your mental picture just change again? Using specific details in your writing will guide the reader’s imagination, helping the reader to imagine a scene the way you have imagined it yourself. But use the right details. The more details, the better? Not exactly. The key is to choose the right ones. If you describe the contents of every inch of that restaurant kitchen, it will be information overload. Readers cannot hold an infinite number of details in their mind at the same time. If you describe every pea in every can of peas in the restaurant pantry, readers will fall asleep. Details that differentiate. If you tell me that the man picking the lock on the kitchen door has two eyes, a nose, some hair, and quite a lot of teeth, that is not very informative. If you tell me that he is tall and has wavy hair, that gives me more information. But I still might not be able to pick out this man in a police lineup. If you tell me that he has a long upper lip that gives him a certain resemblance to a camel, this helps me form a picture of the man. It is a detail that distinguishes this man from other people. Details that suggest a larger picture. If you tell me that the kitchen counter is littered with a mixture of sugar, crumbs, dead ants, and ashes from the pastry chef’s cigar, I understand that this kitchen is not likely to pass a health inspection. Even if you don’t describe other surfaces in the kitchen, I will naturally imagine them as dirty. Remember your narrative point of view. The details you should choose will also depend on the narrative viewpoint you are using in the scene. By narrative viewpoint, I mean the perspective from which the reader experiences it. If the scene were in a film, where would the camera be located? Is the reader observing the scene through a particular character’s eyes — or even from inside that character’s head? Let’s say you want to write from the point of view of the burglar who is entering the kitchen. You’d describe details that the burglar would notice, especially details that he would find important. You might describe the lock that the burglar was picking. You might describe the butcher knife that the burglar takes from the counter. You wouldn’t describe the burglar’s face (he can’t see his own face) — unless you are describing the way it is reflected in something; for example, in the blade of the knife. Now, let’s say you’re describing the same scene from the viewpoint of the burglar’s accomplice, who is waiting for him outside. What would you have the reader see? Maybe the light going on in the kitchen window? Does the accomplice creep up to the window to peer inside? Fine, then the reader can see the burglar pick up the knife. However, the reader can’t see the oily fingerprints that the burglar carelessly leaves on the knife handle. They would be too small and faint to be visible from the window. Descriptions are more than decoration that you add to your fiction’s surface. They are building blocks in your story. to slow down or speed up reading. For example, you can use a description to slow down the story at a crucial moment in order to increase the tension. If you choose the right details and use them in the right places, your descriptions can do a lot of work for you, although your reader might be too absorbed in the story to notice. N. Strauss directs the online creative writing courses program for Creative-Writing-Now.com, an online resource offering writing prompts and education on a variety of creative writing topics. Thanks for the tips, and the great examples on how to apply them. I am always looking for good ways to explain to people who ask me to edit their work why their descriptions aren’t working. It’s a great you mentioned that it’s important to keep the narrative POV in mind. This was a simple yet informative article that I will definitely be sharing to others! Thanks! I agree with your suggestions BUT please give us a couple of examples to make them real. Maybe write them yourself. In fact, I would ask Write to Done to require this of all how-to article authors. Prove your point more conspicuously. It’s easy to write guidelines. It’s not so easy to illustrate them with good examples — especially some by the author himself or herself — to support the credibility of his or her knowledge, experience and skill. A great example of pointed specifics is the first page of Russell Baker’s “Growing Up,” which won the Pulitzer Price in 1979. The exquisite detail not only gives you a wonderful appreciation of how hard women of his and his parents’ generation worked; it also conveys the almost breathless nature of what was accomplished. In barely one page Baker presents a picture that is almost impossible to forget. Fantastic, informative article! I find books that go on and on with description that has nothing at all to do with the plot so very irritating, (as I’m sure most readers do). I feel that every single word must be guiding us to the climax of the story. A great example of how well this works is Ken Follett’s Eye of the Needle. I just finished it last week and was so glad I (finally) found this classic. Not one word in that story is wasted. I recommend this book for anyone looking to study not only description, but also how to use that description to racket up the tension. I hope I can incorporate those lessons into my own stories. Wonderful article. I found this information incredibly helpful. Thank you so much for this post. Thanks, Neva. I’m so glad you found this useful. I need more practice at this…in fact this is the first “how-to” I’ve read. I often find blogs I’m mesmerized by because of their vivid descriptions. Now I know the secret. With some practice I think I can work some magic into my own writing. Great insight for me, thanks. Thanks for your comment, Tess. I hope this helps. Are you an author who wants to sell more books? If so, there’s one game-changing strategy you can’t afford to ignore. Get an unfair advantage over your competitors. Get the most extensive and accurate information on the e-book market available today. Turn visitors into subscribers, paying fans, and lifelong readers. Want your next book to be a bestseller? 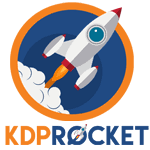 Then you need KDP Rocket - the killer advantage of pro authors.